These days many people are deciding to take advantage of the seemingly attractive offers from major appliance manufacturers to purchase brand new appliances. However, there are several key points that are really worth considering before making an important decision like this. Purchasing a new refrigerator, washer, dryer, dishwasher, oven / stovetop without having all the facts can really impact your finances in a negative way. 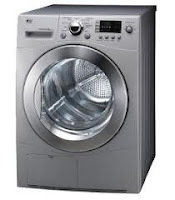 In all the years we have been in business, we have found that generally, older appliances, 5-15 years old, were very well-made with higher quality parts than those currently being manufactured. These older appliances are certainly worth repairing, because the cost of the parts and labor to repair them is usually far less expensive than buying a new model- unless it's a very unusual repair. If you choose to repair your older model, chances are it'll be in excellent running condition for a long time, because it was well-made. Unfortunately, major appliances and appliance parts manufactured today by most companies are definitely not of the caliber they once were. Of course, the more often you have to replace an appliance, the more money you spend and put into the economy and pockets of the manufacturers. In addition, parts made by the manufacturers today to repair these new models of major appliances are more likely to fail sooner than they once did. This all adds up to increased cost of buying new appliances which don't last as long, and increased cost of parts needed to repair them, more often. 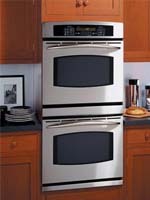 People usually give up and buy yet another new appliance. Depending on the appliance brand, model and repair problem, our Chief Technician can offer great advice about the pros vs. cons of repairing your older appliance. Often it’s necessary to schedule an appointment with him to come out to your home to physically see the appliance needing repair, to provide a full diagnosis and final recommendation. 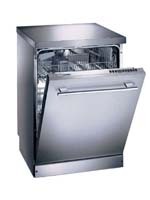 If an older appliance is not worth repairing, he will let you know, but many times it is a better decision to repair it, so it can go on working like a top for you for many years to come.